At the Alliston Chiropractic Wellness Centre, we strive to listen to your health priorities, helping you reach your goals. We offer many different approaches based on best evidence-informed treatments from pain, wellness and rehabilitation approaches. 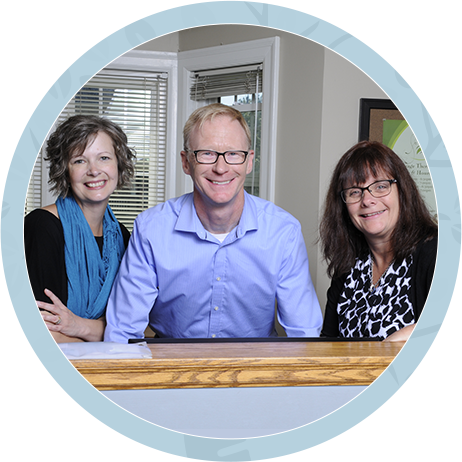 We are a lively family practice located in the heart of New Tecumseth. Our dynamic practice sees a wide range of people from newborn babies to seniors. We also see many elite athletes and artistic performers who challenge their bodies on a regular basis. With this diversity in mind, we are able to provide different choices for your health care and wellness plans. Chiropractic care has a beneficial effect on both your physical and mental health. Many people are surprised to have their long-standing chronic symptoms improve. You might be surprised by the many conditions that chiropractic care can assist with! Our bodies truly are a wonderful gift that we are only given once. To live life to the fullest, we must treat our bodies wisely, providing them with the nurturing care needed to work at their greatest ability. We approach your health from the inside out. Looking at the cause for symptoms and often, treating both. We'll help you regain, maintain health naturally and keep you well for a lifetime! When you choose us, we'll work with you to meet you where you are on your journey to health. We recognize that each patient is unique, which means a custom plan will be developed specifically for your needs. Alliston chiropractor Dr. Kent Newton, and his entire team look forward to welcoming you to the practice. Let them create a personalized plan for you to reach your optimal health. You can schedule your appointment today by booking online, email or by calling the office at (705) 435-6371. Get started today to unlock your true health potential, naturally! I was so happy to get an appointment the same day that I called. I found Dr. Kent to be a good listener and a excellent chiropractor. I felt better right away. We all felt very comfortable and confident in the assessment, care and treatment plan Dr Kent did. It was a great first experience with him and his staff!! Excellent diagnostic equipment along with Dr Kent’s experience and diagnosing abilities, I feel that progress will be rapid and the outcome will be very satisfactory. Thank you for making me feel so welcome. My experience at your office was both expedient and thoroughly efficient. It’s been a long time since I felt so comfortable on a first visit. Dr. Kent gave a wonderful adjustment alleviating my pain immediately. Both Dr. Kent and Melissa were wonderful to chat with. Dr. Kent was an excellent listener and gave me plenty of information and explanations. I not only felt confident in my choice of office and decision to start chiropractic care, but the visit also made my day much better. I have been very happy with the care I have received from Dr. Kent. I cannot believe how much better I feel for only starting back with chiropractic care. My sciatica has virtually disappeared and I no longer get little tinges of pain. I recently injured my back, but as a result of the care I have been receiving, I have bounced back quickly which has enabled me to get back to my daily activities and working out. Dr. Kent is very informative and you can tell he loves his job! The team at the front desk is very friendly. Front staff were very helpful and pleasant. Dr Kent was professional knowledgeable and extremely kind. Overall a wonderful experience and I will now book an appointment for my husband. Thank you so much. In my professional life first impressions were a good indicator of future experiences/relationships. I would give Dr. Kent and Melissa an A+. Dr. Kent was able to zero in on my issues very quickly and provide a plan for moving forward. GREAT CHIROPRACTOR, GREAT OFFICE. I RECOMMEND THEM WITH ALL MY HEART! The first visit was excellent. Everything was explained very well. I never felt rushed. I had a follow-up phone call later that evening from Dr. Kent which was totally unexpected yet very much appreciated. I actually left feeling like I will have a resolution to my problems. The Doctor took time to review all my CT Scan, MRI & XRays. I feel confident that he knows what my condition is. Dr. Kent and his team are absolutely amazing! He takes his time to listen to your story and makes sure that you feel comfortable with everything he does! After my first appointment my lower back already felt much better and I cant wait go back again! He is a Doctor you hope to find! Great clinic and very informative. I was really impressed that they took the time to explain how they diagnose and the path to recovery. Very happy with Dr. Kent and staff! I was a bit nervous to be adjusted as it was my first visit but Dr. Kent was wonderful. It was nice to be validated that the symptoms I am feeling were real and that there is hope for relief with treatment! After seeing another chiropractor within the past year, I was pleasantly surprised to have x-rays done and comprehensive background completed. Dr Newton recognized issues with my flexibility which my previous chiropractor had never investigated. A great office! Mom…who will be 90 next month… is so very grateful that Dr. Kent was able to relieve her pain totally, after only a few visits…(Especially, when all the morphines and meds did not work). Our entire family wishes to thank Dr. Kent and his amazing staff. I was very nervous at first, but Dr. Kent and the ladies that greeted me put me at ease and my nervousness was gone. I feel very confident that Dr. Kent will be able to help me. Dr. Kent has a fantastic bedside manner and has a wonderful way of knowing how to put you at ease. I have been looking for a chiropractor in Alliston for the last couple of years but the few I went to I didn’t feel comfortable with the way they treated me. I think I have found finally found my chiropractor with Dr. Kent. I am very pleased with the way he practices. Follow up call regarding visit is caring and professional. I am so very pleased that I finally walked into your office. Wish I’d done it years ago however best I’m here now only good things to come!!! So very helpful and reassuring. Already seeing and feeling good results after a few short weeks!!!! Just wanted to let you know that 20 mins after Breanna’s adjustment in your office tonight, she was happy and asking for dinner. She is feeling much better and her fever has dropped. If that isn’t proof of what chiropractic care can do, I don’t know what is!! Thank you! !